Feed all your twigs, sticks and branches under 2" in diameter into Troy-Bilt's CS4265 chipper shredder and get wood chips in return. Drop leaves and other yard debris into the steel hopper and get mulch or compost easily. 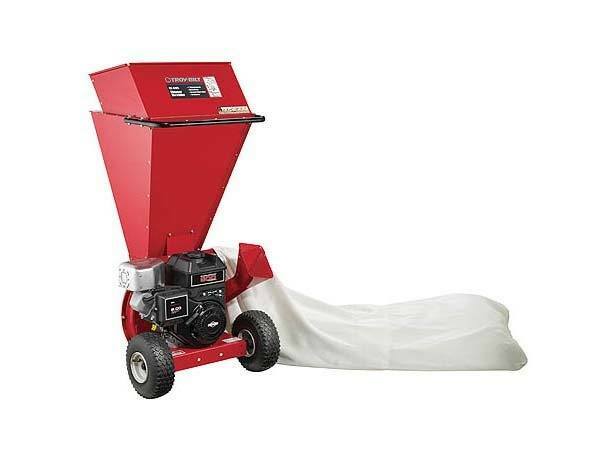 With a powerful Briggs & Stratton® engine, an ample 2" chipping capacity and heavy-duty construction, this wood chipper and shredder can help cut any big job down to size. Chipping Capacity - 2 in.